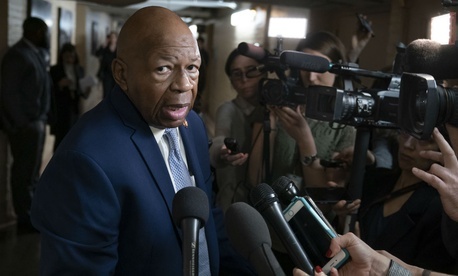 In a move that could bring more agency employees under the spotlight on Capitol Hill, Democrats now leading the House Oversight and Reform Committee have restored old rules on subpoena power to allow interviews by congressional staff whether or not a lawmaker is present. Confirming a Tuesday news report, a staffer on that long-contentious panel told Government Executive that “committee staff have always been allowed to conduct transcribed interviews without Members present, and they have conducted dozens if not hundreds over the past several years.” But when it came to depositions (under oath), “when Republicans came into the majority in 2011, they put in place a new rule that required Members to be present.” This has “proved unnecessary, so Democrats are returning to the previous rule,” the staffer said. The change comes as newly installed Chairman Rep. Elijah Cummings, D-Md.—whose national profile has been rising—revs up multiple probes on topics ranging from Special Counsel Robert Mueller’s investigation of possible Russian influence on the Trump presidential campaign to Commerce Secretary Wilbur Ross’s handling of the Trump administration’s bid to add a citizenship question to the 2020 census. Cummings also renamed the committee, dropping the word “government” to stress that its oversight activities also touch the private sector. On Wednesday, Cummings announced “an in-depth investigation of the security clearance process at the White House and Transition Team in response to grave breaches of national security at the highest levels of the Trump administration, including by former National Security Adviser Michael Flynn and others.” In addition, the probe “will seek to determine why the White House is currently defying federal law by failing to provide to Congress information about its security clearance process required by the SECRET Act,” Cummings said. The broadened subpoena power did not include granting equal powers to Republicans, who, during the past eight years when they controlled the committee, blocked dozens of Democrats’ requests for subpoenas for agency documents. Republicans now in the minority, led by Ranking Member Jim Jordan of Ohio, have continued to press for ongoing probes into the FBI’s alleged anti-Trump bias in investigating the 2016 election while also questioning the Democrats’ plan to hear testimony from Michael Cohen, Trump’s former personal lawyer now facing prison time for lying about his efforts to protect Trump. Jordon last Friday announced eight new Republicans on the oversight panel: Reps. Clay Higgins of Louisiana, Bob Gibbs of Ohio, Ralph Norman of South Carolina, Kelly Armstrong of North Dakota, Mark Green of Tennessee, Carol Miller of West Virginia, Greg Steube of Florida and Chip Roy of Texas. Cummings on Tuesday announced the addition of three new freshman female lawmakers to the panel: Reps. Alexandria Ocasio-Cortez of New York, Ayanna Pressley of Massachusetts and Rashida Tlaib of Michigan. The Subcommittee on Regulatory Affairs and Federal Management will be chaired by Sen. James Lankford, R-Okla., with freshman Sen. Kyrsten Sinema, D-Ariz., as ranking member.